The researchers, who published the study in the journal Scientific Reports (of the Nature group) in February, calculated the probability in the next decade of a potentially catastrophic event for the Earth’s telecommunications, such as the one which occurred between the end of August and beginning of September 1859, known as the “Carrington Event.” That year, astronomer Richard C. Carrington observed the most powerful geomagnetic storm known up to date. 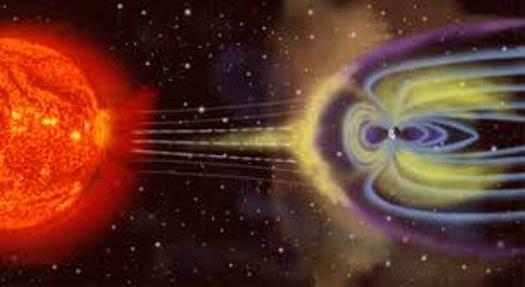 According to this new research, the probability of a similar solar storm occurring in the following decade ranges from 0.46% to 1.88%, far less than the percentage estimated before. “In 2012, the results reported in scientific literature estimated the probability to be around 12%, ten times more than our more pessimistic estimation,” David Moriña, first author of the study and postdoctoral researcher explains. “Our model is more flexible than previous ones and it also includes the model used for the previous estimations as a specific case,” Moriña adds. The intensity of solar surface perturbations such as flares and coronal mass ejections affecting the Earth’s magnetosphere has been measured since 1957 using the “Dst” index, which centralises the values collected every hour in stations located across the globe. Normally, the value of this parameter ranges from -20 to +20 nT (nanoteslas, one billionth of a tesla unit; a tesla unit can be compared to the magnetic flux density generated by a powerful loudspeaker). It is estimated that the Dst index associated with the Carrington Event had a value of approximately -850 nT. Geomagnetic storms are responsible for spectacular phenomena such as the aurora borealis observed at the Earth’s highest latitudes, which depending on their intensity can interfere drastically with different aspects of human activity. Examples of severe disruptions occurring in past decades are the interruption of electrical and navigation systems, and satellite communications. “In Carrington’s time, the only infrastructure affected was the global telephone network,” says one of the authors of the study, mathematician Isabel Serra. “Now, a storm of such intensity could have catastrophic effects on our society. According to a 2013 study conducted by the Lloyd’s of London insurance company and Atmospheric and Environmental Research, the duration of these effects could last longer than a year, and costs could rise to 2.5 trillion dollars. These are number that should make us think,” Isabel Serra insists.